To meet the needs of our clients, Foudy CPA Group, PC was established as an Indiana CPA firm to provide accounting, tax, and business advisory services to corporations, small businesses and individuals throughout Southwest Allen County. Recognizing that each client has unique goals, we tailor our services to meet your specific needs. To better meet the needs of our clients, we have individualized services for clients in industries like transporation accounting, real estate accounting, construction accounting, manufacturing and distribution accounting, farming accounting, professional services and various consumer services. These individualized services have enabled us to address their industry specific challenges, compliance needs and standard tax practices. At Foudy CPA Group, PC, we provide a wide variety of accounting, tax, and financial management services tailored to meet the needs of our business clients. Our certified public accounting (CPA) (find out more about CPAs) services are designed to make your job easier and provide you with more time to focus on building your business. We keep abreast of tax law changes throughout the year to ensure that you are taking advantage of ALL tax incentives. 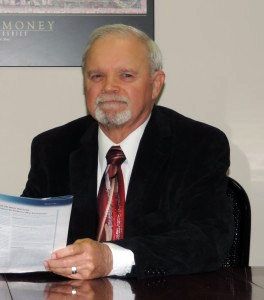 Mr. Foudy has more than 30 years of experience providing accounting, management consulting and financial planning services to his clients who include individuals, families, trusts, estates, and businesses. Ron’s experience and technical capabilities enable him to provide practical tax planning, accounting and financial solutions in a dynamic and complex economic environment. Mr. Foudy’s attitude toward tax planning is if there is a will, there is usually a way to get it done. He is licensed in Indiana as a Certified Public Accountant since 1975 and a member of the American Institute of CPAs and Indiana CPA Society. Ron is registered as a life, health and casualty insurance producer. In the community he is active with the Rotary Club and Emmanuel Community Church. FOUDY CPA GROUP, PC is dedicated to serving the accounting, bookkeeping and tax needs of small businesses and individuals. We boast a fully qualified team of financial professionals at our Fort Wayne, IN CPA firm and offer a free initial consultation, so you can get to know us and learn about our services. When you become our client, you’ll always be treated like a valued customer. Some CPA firm are missing in action when you have a question - not us. At FOUDY CPA GROUP, PC, we have a passion for delivering great customer service, so we’re always happy to assist clients when they reach out to us. Every client request is treated as an opportunity to solidify our professional relationship by exceeding your expectations. We invite you to call us now at Fort Wayne: 260-432-4565 or Bluffton: 260-824-1040 to discuss our comprehensive list of accounting and tax services.